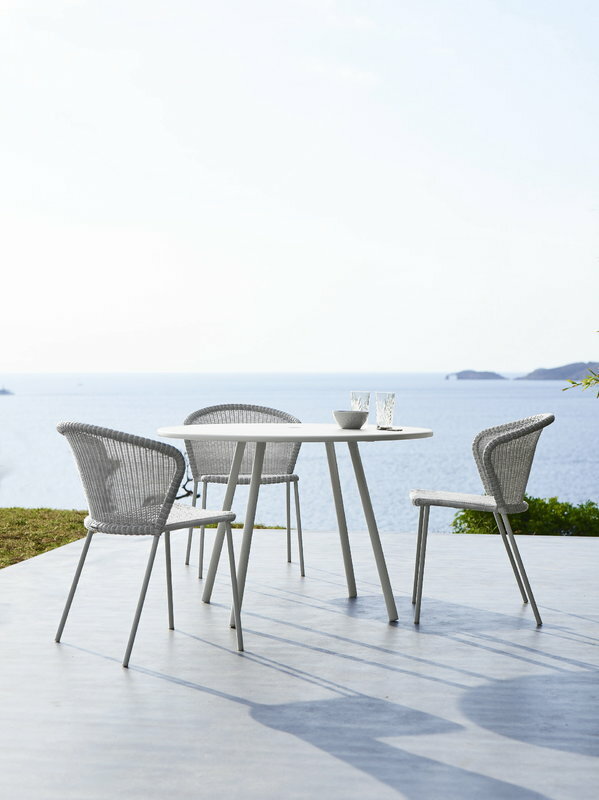 Lean chair by Cane-line brings a characterful touch of modern Danish design into the terrace, balcony or garden. 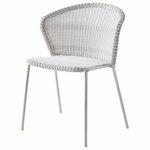 Shaped by design duo Welling/Ludvik, Lean chair consists of a tube frame with a curved backrest and a woven, slightly transparent seat that gives the chair an airy appearance. Polyethylene fiber makes the chair maintenance-free and resistant to UV rays, fade, and weather. 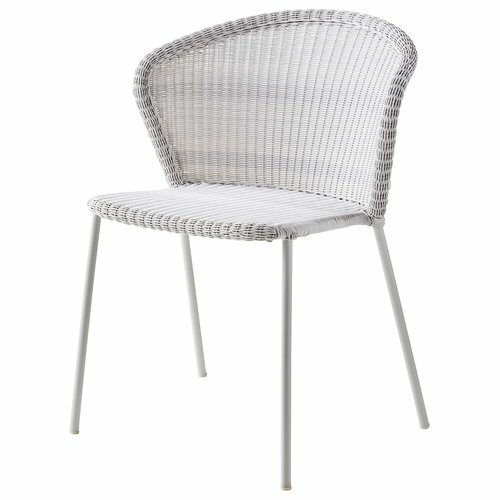 The lightweight Lean chairs are stackable and can be stored in small spaces. Design duo Welling/Ludvik was founded in 2010 by the Danish designer Hee Welling and Icelandic designer Gudmundur Ludvik, both former students of the Danish Design School. 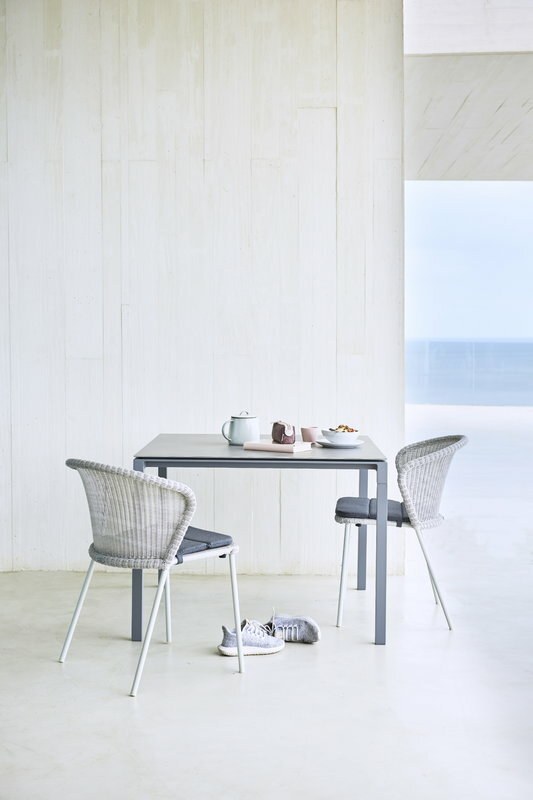 Welling/Ludvik aims at renewing Scandinavian design traditions by focusing on functional aesthetics, personal experience and environmentally friendly production. 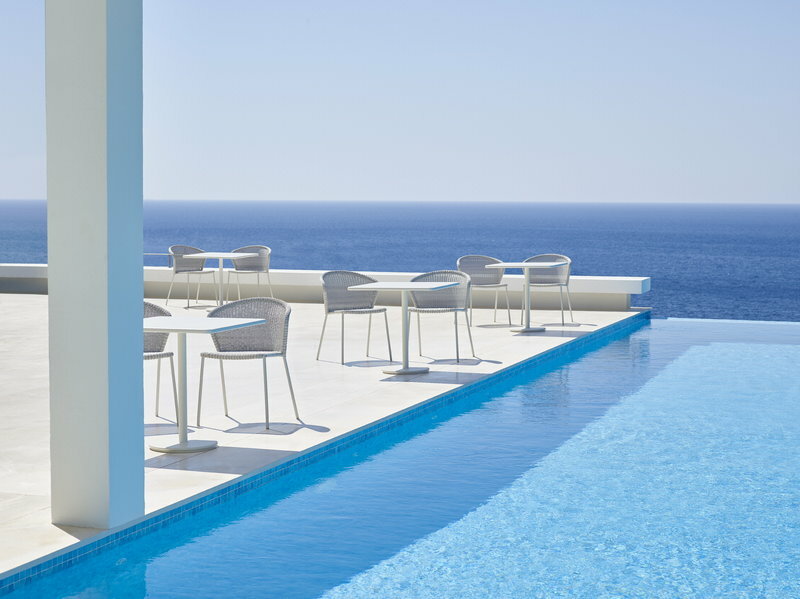 The duo has contributed to modern Scandinavian design with new, interesting combinations of forms, materials and atmospheres.